I got TMF for Christmas and it's a really good book good job and thanks for making it! 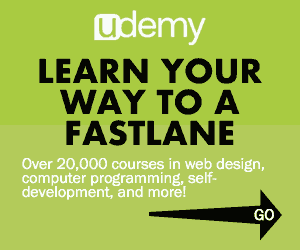 I just finished The Millionaire Fastlane today. It took me a few weeks to read it and during that time I got laid off from my slowlane job of 11 years. Well, that makes the decision easier. Fastlane it is! Supa and MJ DeMarco like this. Read the book. Well, with in the last few years of having it, I have read it 10 times and now about half way through it again. So much good information I keep reading it. Read the book once. Almost through reading it a second time. cat and MJ DeMarco like this. I've read it twice now, took notes the second time. I think this book resonates on a deep, personal level to most people... highly skilled author. Read it. Put a lot of stuff into perspective and is one of the best books I've absorbed. I continually recommend it. Absolutely loved the book. Read it twice, will probably read it many more times in the future. The book's worth its weight in pure gold! I have read TMFL, applied it, am benefiting from it already and refer back to it often. I read the book and I'm definitely going to read it again! Absolutely loved it! I read the Fastlane Millionaire... This book was really amazing. It made me realize even the current thing I'm doing, which is working, is completely unscalable. It's not a $1,000,000 idea. It doesn't have even really have the potential to be. 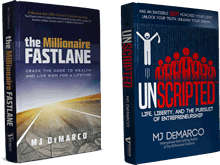 Is there like a "pocket book guide to The Fastlane Millionaire"? I would love to have a small copy to carry around with me. You could make one with all checkpoint summaries at the end of each chapter. NewJamesBond and MJ DeMarco like this. I recommend you have a page for the WADM too. I've listened to the millionaire fast lane 4 times now since buying it. I've read the book, amazing!!! I haven't read the book, but have listened to the audiobook 4 times now. I've read the book and I must say that it is one of the most honest and practical business books I have ever read. It lead me to this site. Thanks MJ. Glad I read it!! Will read again and again.